But there can only be one winner. 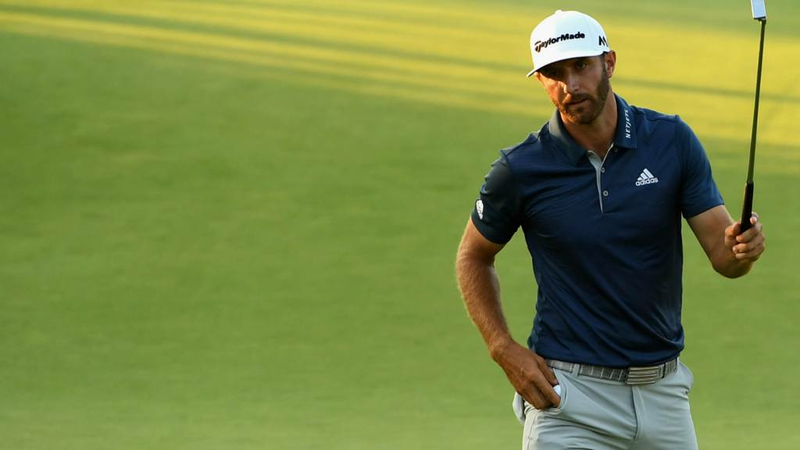 Through a mist of controversy and a deluge of previous disappointment, Dustin Johnson is a major winner. If you have missed any of it, the report is now published, just click here to check it out. And if you're officially all golfed out, we thank you for being with us for four days. Your tweets were brilliant as always and we trust we will see you for the Open Championship in July. These Sunday's are never dull are they? USGA official Jeff Hall: “Well the ball moved and we believed it was due to Dustin’s actions. "I was out on the golf course following some groups, so I had to make my way in to see it. "There were certain actions we had to analyse. The first time we had the opportunity to speak to Dustin was the 12th hole. "We did inform the balance of the field. "It's really sweet to get that major championship," says Dustin Johnson. On the controversy which began on the fifth hole and became real on the 12th tee box: "At that point I just thought deal with it when I'm done. I just tried to block it out. It didn't bother me so it was definitely nice. I knew when they (officials) walked up on 12 they said they'd been watching it in the trailer but who cares, it doesn't matter any more right? "I just had to stay focused, try to not hit any shots I wasn't focused on. Hit fairways and greens. I stuck to my game plan. I stuck with it all week and drove it beautifully. "After everything that's happened to me and all thee majors there is always that little voice saying 'is it ever going to happen' and yes it did happen." Jason Day stays at one. Jordan Spieth at two. A win for DJ, another top 10 for Sergio and Furyk, while Branden Grace continues to knock at the door. A day to forget for Lee Westwood, a week to forget for Rory McIlroy and Jordan Spieth. Joint runner-up Shane Lowry speaks and the first subject under discussion is about how the controversy surrounding Dustin Johnson impacted upon him. "It didn't affect me much at all," says Lowry. "I just feel like I let it go today. I'm very disappointed today. The more I think about it the more upset I'm getting. It's going to be a tough few days. I led by four. I was tied for the lead with five holes to play. I am definitely good enough to win one of these. "This one is going to be hard to take. "I wish I could forget about it but I have a corporate day in Dublin tomorrow so I have to play golf. That's going to be great fun, people asking me how I let the lead slip. "If you'd have given me second at the start of the week I'd probably have taken it but I stand here now and I'm not happy. "You win some, you lose some and I'll definitely be back." A look back through the Dustin Johnson card shows up five bogeys and a double all week. That may not sound too flash but on this course, it's fantastic. Oakmont showed its teeth on times - Lee Westwood felt its force today - but Johnson smiled back at it. His average drive came in at 317 yards. The field averaged around 276, so for every rip off the tee he's stealing serious yardage. That's what makes him Dustin Johnson. That's what makes him US Open champion. The US Open champion is asked about the moment he was told he may face a one-shot penalty for seeing his ball move on the fifth green. As he does the crowd at Oakmont boo to let the rulemakers know they are not too happy with how things were handled. "They said we would look at it when we got done," says Johnson. "So I just tried to focus on what I was doing and not worry on the penalty stroke. On his shot to within three feet on 18: "It was a very nice way to finish. It may have been once of the best shots I've ever hit under the circumstance. "The best Father's Day ever." Dustin Johnson stands with the Nicklaus medal on as a US Open winner and gives his first words as a major winner: "I had a lot of support out there. Pittsburgh fans are great. It was very nice to have the support, it helped me coming down the stretch. "It hasn't quite sunk in yet. it feels great. I've been here a bunch of times and haven't quite got it done. It feels really good." And it's trophy time. Dustin Johnson gets the beautiful US Open trophy. It shimmers under the flash lights, his wife Paulina looks on and wipes away a few tears. This image has been some time in the making. Dustin headed straight to his son and his wife to celebrate his victory. Disappointments of the past, they make you stronger it seems. "He will be upset with himself in the short term because he let a four stroke lead slip, but in a few days or weeks time, he'll be pleased at how well he has played and know that he can go on to better things." As his last putt sinks, Shane Lowry puts his hand to his face and takes a deep breath. It's the sigh of a frustrated man. A six-over-par round today. His playing partner Andrew Landry ended eight over on Sunday, five over in all.